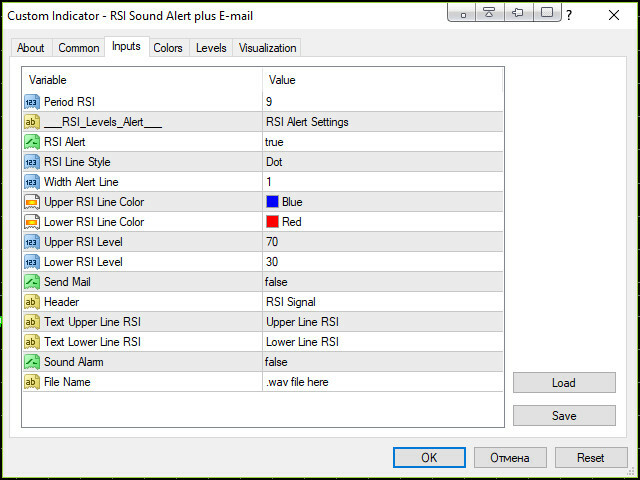 RSI indicator with signal lines, at the intersection of which a corresponding notification will be issued, which can be in the form of a normal alert, or in the form of a user sound file. 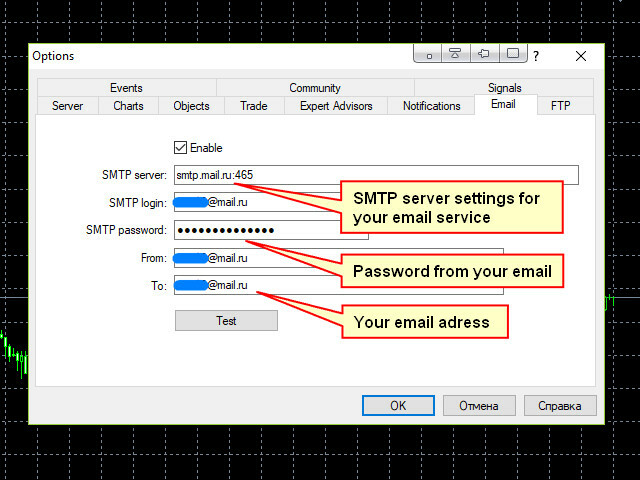 The indicator also has the function of sending notifications to Email at the intersection of these levels. 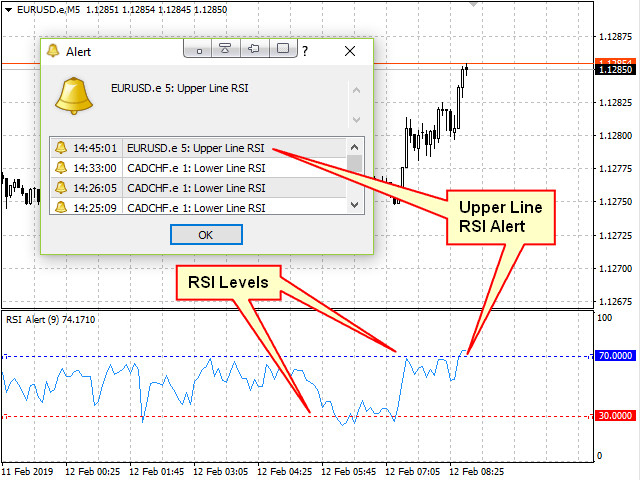 The values ​​of the levels can be set independently in the indicator settings, and, if desired, they can be changed and configured directly in the indicator window. 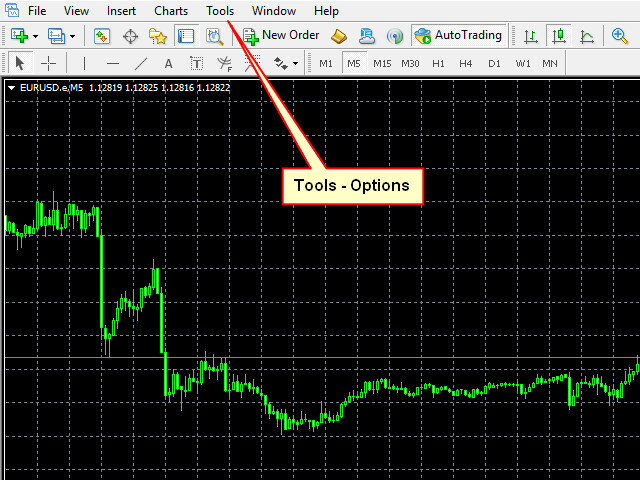 File Name - the name of the sound file in the format "***.wav". The file itself must be placed in the terminal's Sounds folder. To stop playing audio files, you can install an additional Sound Stop script from the list of products in the terminal and use it when the file needs to be stopped.